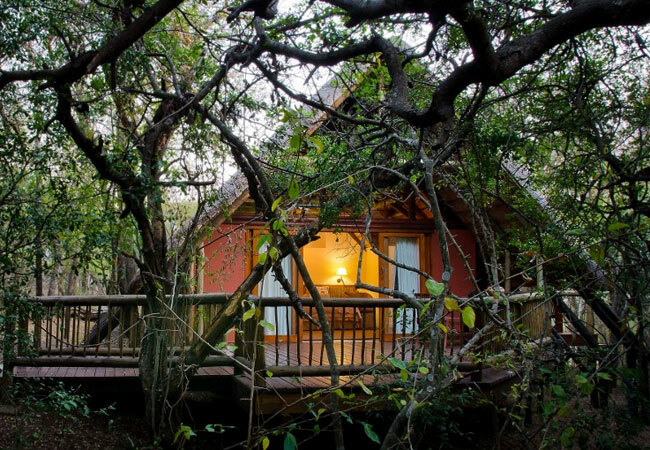 Tucked away in a forest with spectacular views of Lake St Lucia, family-friendly Hluhluwe River Lodge is close to the Hluhluwe-iMfolozi Game Reserve. Enjoy self-drive safaris in Hluhluwe-iMfolozi, as well as guided birding and botanical excursions to False Bay Park. Other adventures include self-guided hiking trails in the surrounding sand forests, mountain biking, canoe trails and a boat cruise on the Hluhluwe River. There's currently no specials at Hluhluwe River Lodge & Adventures.